Companies with multiple divisions, departments and stores etc. Holding companies who wants a consolidated view of all their different companies, even when they work on different accounting systems. 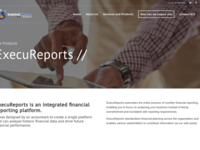 ExecuReports is an online data reporting, consolidations and forecasting platform for business intelligence and data analysis which consolidates all financial and operational data from multiple systems/sources with multiple currencies and presenting it in user-friendly dashboards, financial reports, KPIs and ratios. Our planning module includes forecasting for contracts, salaries, loans and assets including depreciation of assets and amortization of loans. 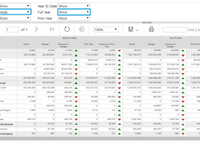 Pros: With ExecuReports importing of trial balances into the reporting tool is quick and simple, reporting is accurate and fast, and also the variety of reports available at various levels of the organisation is structured to give the correct user the right level of financial info. Also, the dashboard reporting is of great value when reviewing performance against KPI's. Budgeting spreadsheets can be exported to various department heads to be populated and then re-imported into the system once completed. Also the system is available online and access controlled, meaning that business unit heads or finance staff can simply log in wherever they are based within the country or the world and input data and extract reports. Cons: The first version of the budget module was a bit tedious to work with in terms of inputs of data into monthly columns for each expense item, but I believe that input methods of the later versions of the software would have corrected this. Overall: As a divisional general manager finance in a large group of companies, ExecuReports made my life very easy when it came to month-end management accounts, budgeting and forecasting. Servicing a group or division with a vast amount of companies consolidating up at divisional and group level, it removed the pain of using a vast number of Excel spreadsheets to import various accounting systems trial balances into monthly management accounting packs. 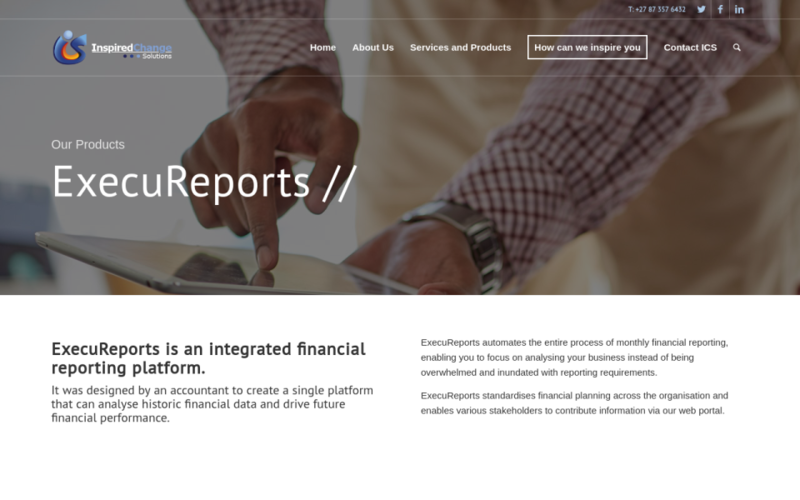 ExecuReports did away with manual data manipulation, erroneous formulas in spreadsheets and time waste of accounting staff as well as reviewers having to check and recheck monthly reporting for accuracy. Recommendations to other buyers: For medium to larger corporations, this software is relatively inexpensive compared to some of the larger system name brands available in the market and from what I had experienced is a lot more adaptable at a far less costly price than many of the larger competitive products. This has taken off hours of manual work and given us the ability to focus on report analysis. Pros: This software brought to light manual transactions that were being passed into the Management Accounts yet had never been journalized into the accounting software we a using. Now at a click of a button we are now able to run a single summary income statement report for more than 60 stores. This previously took three to five days when done manually. We can also customise our own reports which must be tailor made for the retail industry. I also like the ability it gives us i.e. to report in multiple currencies. This comes in handy since we have operations outside our borders and now we are able to consolidate including over-border companies. Cons: On the remap function I am able to only remap one account at a time. There is no multiple selections if this can be availed this will make the application great for us. 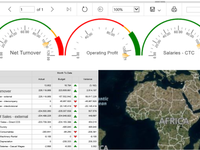 Overall: We now have the ability to check the integrity of the current reported Management Accounts Packs against this software reports since it imports the Trial Balances from the company's accounting system. This is how we picked that they were manual adjustments to the Management Accounts Packs. 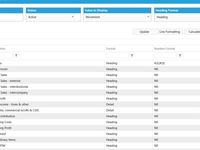 The design of our custom reports relevant to management which we can now run at a click of a button. No more manual work on the part of our accountants since all they have to do is import, map and run and analyse the reports hence adding value to the reporting process. We are also now able to upload statistics and report on staff and floor space efficiencies. We are able to set up the monthly average income statement and closing balance sheet exchange rates as well as set it up for either Actuals or Budgets. We are also able to upload the foreign entities Trial Balances and the software calculates the Foreign Currency Translation reserve for us without manual intervention. We are also able to pin the Previous Year's Retained earnings of all our foreign entities in ZAR so that the reporting will be correct. We are now able to run multiple currencies consolidations at a click of a button. This used to take us a week to two weeks to do since not all our companies are on the same accounting system. We pride ourselves in our customer support and quick set-up. the product offers great value for money. it easy to use. 3. i can consolidate multiple currency with ease. Overall: Easy to use, and support is great if problem occurs. Reports are great and can't do without it for longer than a month. Thank you Clinton for your review. The upload functionality has definitely been optimised and automated web services are also now used for importing data.